Melanoma, Soon to be “Mela-no-more”? Just last week (April 6, 2010), scientists at the Rush University Medical Center in Chicago completed the second phase of trials for a very promising melanoma vaccine. The trial, which had stunning results, was conducted on 50 patients with metastatic melanoma, which is melanoma that had spread to multiple parts of the body. Currently treatments for advanced melanoma include chemotherapy and immunological drugs which are only effective 15 % of the time. This new vaccine is not only easy to administer, but it also appears to have a much higher response rate in patients, potentially making it the best treatment option for anyone with advanced melanoma. Melanoma is a rare but deadly cancer that typically begins in a mole or other pigmented tissue and can easily be removed if caught early. If it advances it is much harder to treat and without treatment the patient usually has only a few years to live. The vaccine being tested in this study is known as OncoVEX. OncoVEX is effective because it is composed of an oncolytic virus, or a reprogrammed virus that is made to attack cancerous cells while leaving healthy cells undamaged. The vaccine is injected directly into lesions that can be felt or seen, and its ease of administration allows it to be given right in a physician’s office. 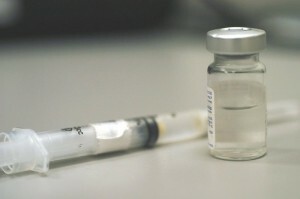 According to Dr. Howard Kaufman, the director of the Rush Cancer Program, “The vaccine worked not just on the cells we injected, but on lesions in other parts of the body that we couldn’t reach.” He explains how these injections prompt an immune response that circulates through the bloodstream to other affected parts of the body. To confirm these results, Kaufman is set to lead a third phase of trials which will enroll approximately 430 patients from cancer centers across the U.S. These patients will be tracked for two years after their first dose and if the results are anything like the previous trial, this vaccine could turn an advanced melanoma diagnosis from a death notice into a treatable disease. This past Thursday, a group of scientists from Boston University released a new study which revealed that treating bacteria with low levels of antibiotics produces mutations in the bacteria instead of killing them, allowing them to gain resistance to a wide range of antibiotics. This newly gained understanding for the biomolecular processes that produce these “superbugs” can lead to the development of new antibiotics or even enhanced treatments that could prevent the creation of these extremely dangerous cross-resistant bacteria. 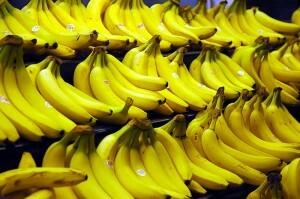 The team of scientists led by Professor James Collins, performed their tests on strains of E. coli and Staphylococcus. They started by administering low levels of five different antibiotics to the bacteria, which caused the introduction of mutations into the bacterial DNA. 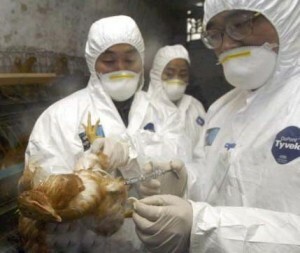 They followed this by then giving lethal doses of antibiotics to these mutated bacteria. 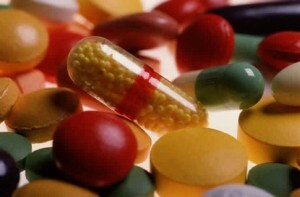 The results revealed that many of the bacteria initially exposed to low levels of antibiotics now exhibited cross-resistance to a variety of antibiotics. In lethal levels, antibiotics cause bacterial DNA to be shredded. However, when the antibiotic is not at a lethal level, mutations are entered into the bacterial DNA instead. The bacteria not only survive with these mutations, but gain protection from antibiotics including ones that the bacteria weren’t even exposed to. With the information gained from these findings, enhanced antibiotic treatments can be developed that could prevent the emergence of multi-drug resistant bacteria and even increase their DNA killing ability so that low doses of antibiotics would be enough to kill mutated bacterial cells. A group of researchers lead by scientists from UCLA have identified a “broad spectrum” antiviral small molecule which targets the many envelope encased deadly viruses that exist today. This antiviral would fight enveloped viruses such as HIV, Ebola, and influenza, as well as viruses that haven’t even been discovered yet. Dr. Benhur Lee, an associate professor at UCLA, was working with colleagues on 23 various pathogens when they discovered that this antiviral molecule, known as LJ001, only interfered with enveloped viruses through a mechanism which is still not fully understood. This LJ001 molecule binds to both healthy and viral cells within the body, but only causes harm to the viral cells. Unlike the healthy cells in your body, viral cells lack the ability to repair themselves because they are not metabolically active. Therefore the damage done to the viral cells is permanent, while it is completely harmless to the healthy body cells. Broad spectrum antivirals are hard to find, and usually accompanied with many shortcomings. One such antiviral, Ribavirin, targets RNA replication and is only effective against a few viruses, is too expensive for widespread use, and produces unwanted side effects. 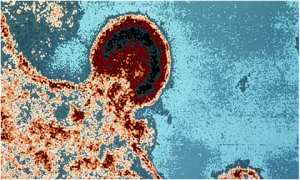 LJ001 targets viral structure, does not appear to be toxic, and can attack a large group of viruses, making LJ001 the first antiviral of its kind. Viruses can differ from one another and even mutate as seen with HIV, making them extremely hard to fight off. Using an antiviral such as LJ001, which safely targets a feature common to an entire class of viruses, may be the potential answer to this problem. Nick is a sophomore biology major at Dickinson College. 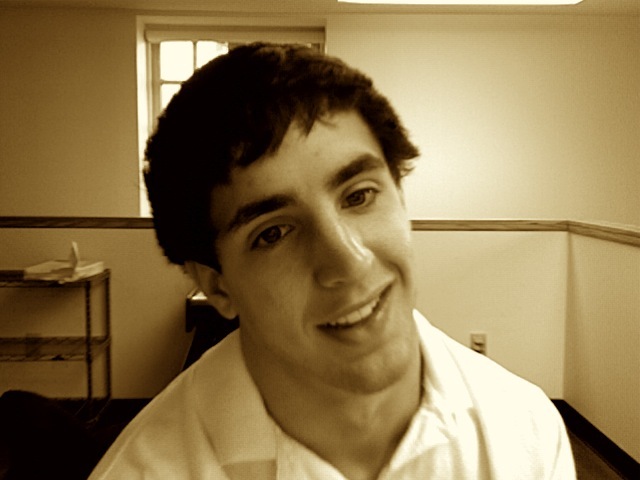 He is from Basking Ridge, New Jersey and is a lifeguard and EMT in his spare time. 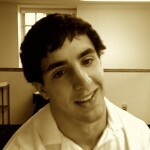 He is a member of the Kappa Sigma Fraternity and likes to stay involved in campus activities.